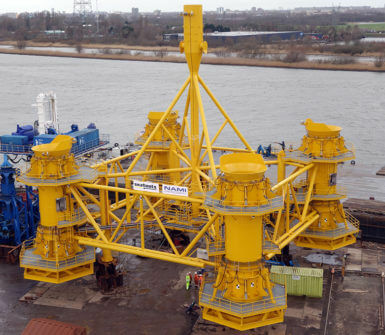 For this project, Seatools’ scope of supply comprised the complete mechanical, electric, hydraulic, and software design of the pile template instrumentation and control system, complemented by the hydraulic and mechanical system for template leveling and pile positioning. The entire project has been successfully completed in as little as 5 months, from signing the contract to FAT. suitable technical configurations and potential solutions. Complemented by a thorough FMEA analysis, this resulted in an adequate system architecture and related solutions featuring a high level of redundancy, a solid backup strategy, and innovative measurement technologies. 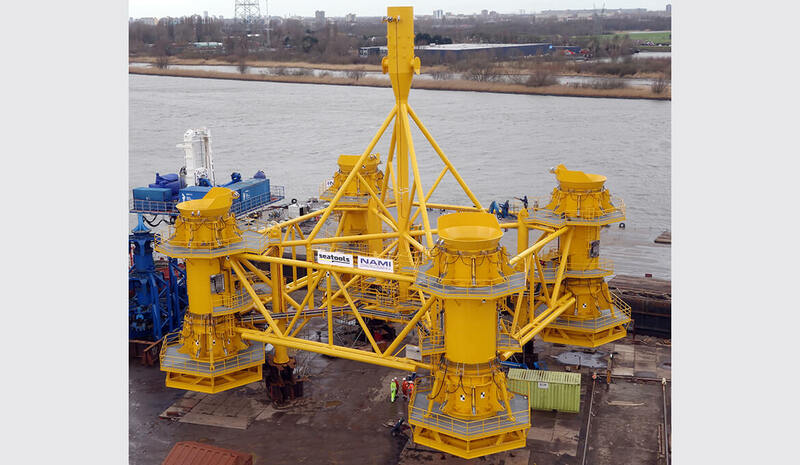 Thanks to the delivered solutions, Seaway Heavy Lifting is set to stay well within the limits of the prescribed pile installation tolerances.